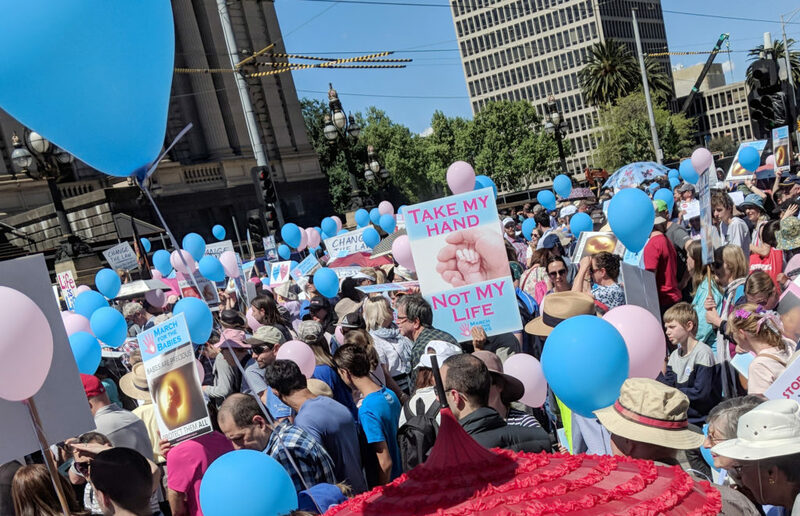 This year I attended the March for the Babies and had the opportunity to have some interesting discussions with some pro-choice advocates who were attending the counter-rally. Some were aggressive and didn’t want to engage, some were thoughtful and wonderful and were saddened by the aggression of others on their side. The following is an online conversation with one lady who wanted to ask me to defend my pro-life position. At times she is pretty aggressive, but I am not posting our discussion here to critique her, and if you are offended on my behalf at any point I ask you to let it pass. I think she asked me some interesting and valid questions that all pro-life advocates should be able to answer. So I have posted below our conversation in full. I have made some slight editing to the grammar to make it easier to read, but I have not edited the content. This is so you can see how I engage in these discussions “in real time”. I don’t think I handled every question or accusation perfectly, but I do hope reading this will be an encouragement to you and maybe give you some tips for your online discussions in the future. NOTE: To make this conversation easier to read, I will format the pro-choice person in Italics and my comments will be in Bold. I’d also be happy to discuss my position on this issue. But do you want it to be productive or are you just wanting to vent? As a staunch pro-choicer and also (believe it or not) devout Christian, I would like to know where your beliefs come from. I can only imagine it to be misinformation and brainwashing. I genuinely want to know why. As a devout Christian then, I encourage you to start from a more generous position. Presuming my ignorance or brainwashing or starting with an attack is not the best way to invite someone into open respectful dialogue. I’m not attacking you, the criminalisation of abortion directly causes gruesome deaths of women and I wasn’t sure you had made that connection yet. I’m sure you know I could throw the same accusation on the pro-choice side. I’m not really interested in lobbing hand grenades at each other though. I can’t logically find a reason why someone would hold your beliefs unless they were misinformed, ignorant, or hated women. if you have a fourth option, please let me know. i haven’t had one person give me a good reason to be pro-life. I invite you to do so. I don’t think I’m being rude or aggressive at all. It is a very valid concern to worry about the women who may try to harm themselves and their child if they find themselves with an unwanted pregnancy and feel that abortion is their only option. I do care deeply about women in that situation. I think any legal prevention of abortion HAS to be accompanied by a huge increase of financial, emotional and practical for women in that situation. I have personally donated thousands to crisis pregnancy programs and I would do more. 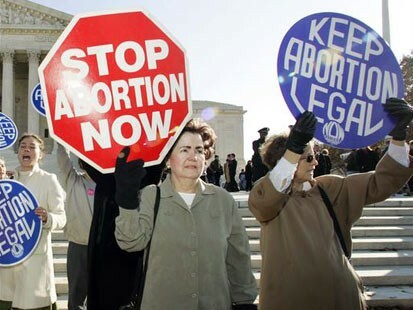 Anyone who wants to simply ban abortion and do nothing to support women in need, I think is a hypocrite. It is a hypocritical standpoint to have, to completely disregard the lives of living human beings. But I would like to know why you think abortion should be illegal in the first place. Well, I think there are two angles to this issue – the principle and the practical. The principle is about whether abortion is right or wrong. Should it happen in any situation? The practical is about whether should be legal or not and whether there should be any limitations or restrictions. They are two different issues. You are asking about the second issue, the practical. I think that is a trickier issue to work out how best the law should relate to abortion. But my premise for all my thoughts on the practical side is based on the principle side. Ok so if you want me to ask more specific questions… Why do you think abortion is wrong? And secondly, why do you think your belief is important enough to literally take away legal autonomy over someone’s body. Thirdly, have you heard of a man called Michel Foucault? French philosopher. He has written a lot about what we call biopower, the power a government has over it’s citizens bodies. And regardless of your opinion on abortion, I think fundamentally, to take away the right to autonomy over my body through law is very VERY wrong. And I think that not only do you have to argue why abortion is wrong, and then why your opinion on why its wrong is so important that it should be made law, but you also have to argue that governments should have power and control over people’s bodies. I do understand that. I actually believe in the general principle of bodily autonomy, though I think it has to have limitations when it comes to how it affects others. If you’re busy you don’t have to reply right now. But I think it’s fair to ask you to answer all of that. They are great and fair questions to ask a pro-life person. Having an abortion does not affect anyone other than the person having an abortion. Well, this may be our big point of difference, but I also believe that it effects the one being aborted and that is an important factor. And here is why I hold the belief that anti-abortion protestors such as yourself have beliefs rooted in misinformation. 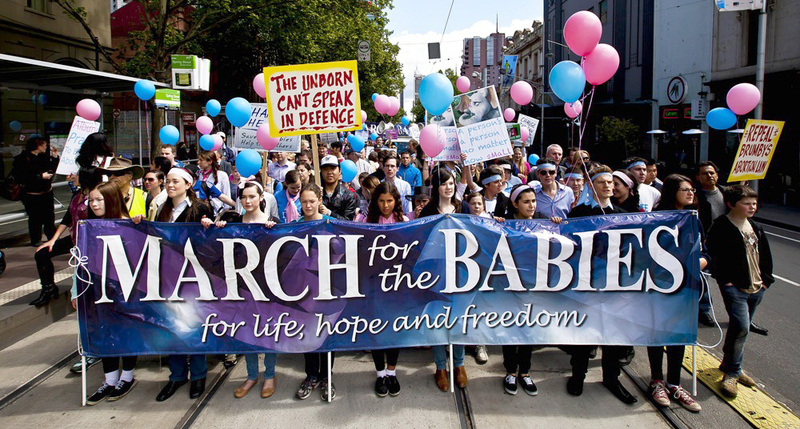 Have you had a look at the REAL science behind an abortion and the stages of pregnancy? because the anti-abortion and “pro-life” movement are renowned for using falsified statistics and factoids. Happy to look at any scientific evidence you may have that you think I am ignorant of. I’d also like to pitch to you a hypothetical scenario to see how you answer it. It isn’t to catch you out or trick you or anything like that. Just a thought experiment. I’m happy with thought experiments, though you’ve asked several questions and I haven’t really had too much opportunity to answer them. Maybe we’ll stick with one question at a time. Happy for you to pick which. Ok if you’d like more time to answer your questions, I can sit back until you let me know you’re completely finished, and then I’ll read through it all and let you know how I feel. Well, how bout I just start with my basic premise. 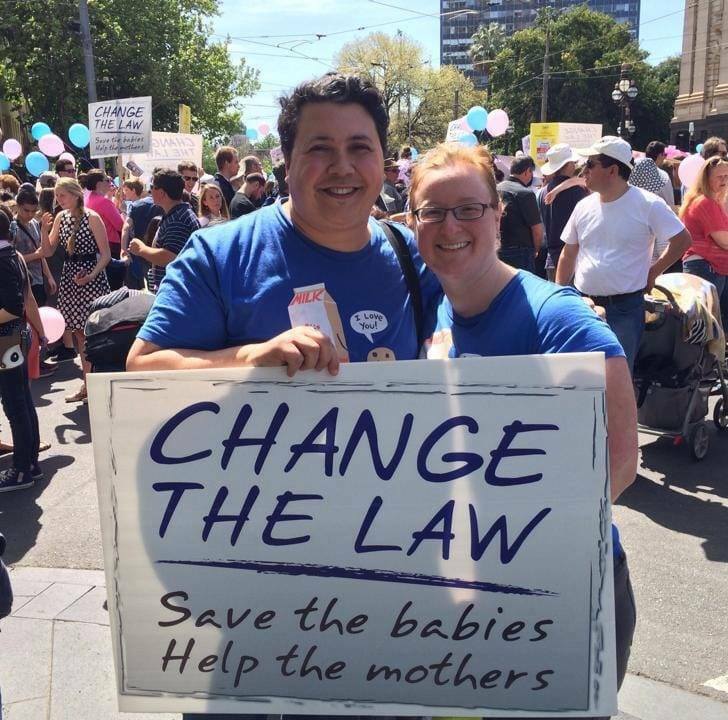 Four years ago, my wife and I attended the March for the Babies. This is us on that day. That very morning we had just learnt from our doctor that my wife was pregnant with our daughter, who we would later name Dorothy. 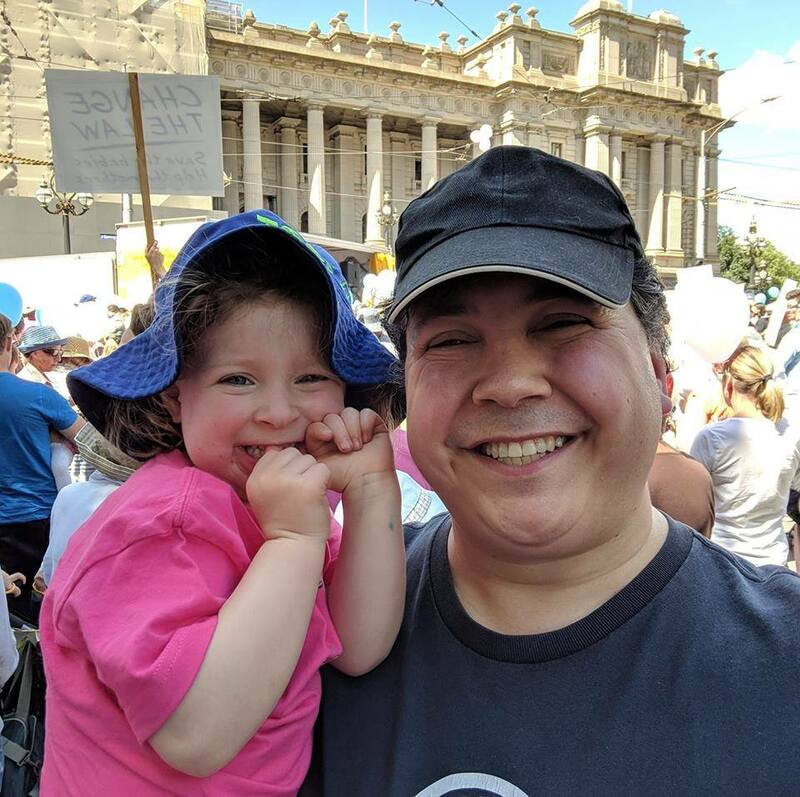 Last Saturday, all three of us were back at the March with our daughter Dorothy. I believe that my daughter has the right to be free from violence, free from harm and free to live out her bodily autonomy. Where we differ is that I believe that was just as true of my daughter four years ago as it is today. That is the basic premise. I believe all women should be free from violence and harm. I believe all human beings, no matter what race, age, gender, sexual orientation, social status, location or stage of development, have the right to life and to be free from violence. My opposition to abortion is due to the fact that the human is harmed in the process of ending the pregnancy. If there was any way of not harming the human in the womb in order to end the pregnancy before the time of gestation is naturally complete, then I would be very supportive of that. I do not wish to force women to carry the baby to term and would support any alternative to that. Do you think an embryo is a human? Can I ask what you mean by “human”? Are you meaning scientifically is an embryo a member of the species homo sapien, or do you mean something more philosophical, like is an embryo a person with rights? Ok let me pose a scenario to you and you’ll understand what I mean. You’re in a fertility clinic. Why isn’t important. The fire alarm goes off. You run for the exit. As you run down this hallway, you hear a child screaming from behind a door. You throw open the door and find a five-year-old child crying for help. They’re in one corner of the room. In the other corner, you spot a frozen container labelled “1000 Viable Human Embryos”. The smoke is rising. You start to choke. You know you can grab one or the other, but not both before you succumb to smoke inhalation and die, saving no one. Do you A) save the child, or B) save the thousand embryos? There is no “C.” “C” means you all die. Ah, Patrick S. Tomlinson’s famous argument from October last year. I think you’re trying to find a way to theoretically work your way out of this problem instead of admitting that an embryo isn’t a person. 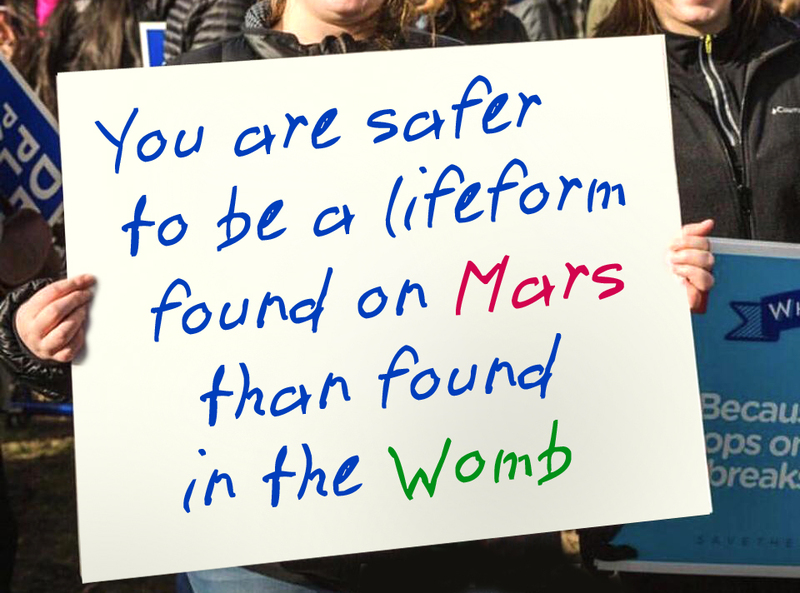 And a zygote is not a person either. 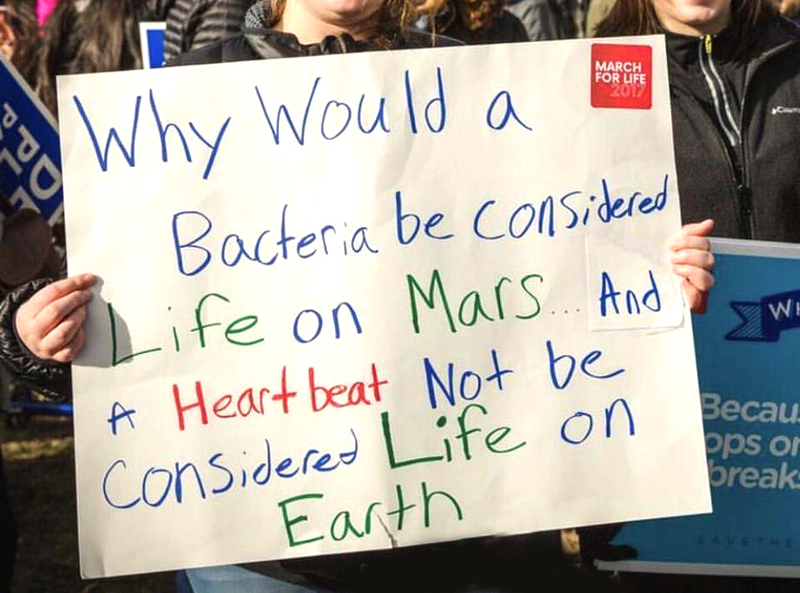 Between a literal clump of cells, and an actual human being, the human being is more important. every time. I don’t think, every time. Can I tweak the analogy a little? I’d like you to answer the question as I posed it, please. I think the scenario isn’t hiding any missing nuance. it is very straight forward in comparing the human-status of a child and an embryo. Firstly, I am happy to acknowledge that most people’s moral instinct in the midst of the fire is to save the screaming 5 year old whose face they can see, rather than the embryos that they only see the label of. That doesn’t really prove anything. Our moral instincts are not always correct. If you will allow me to present another thought experiment, I will explain how. So you would choose the 1000 embryos over the 5 year old child. I don’t really know what I would do in the midst of a fire if I didn’t know what was going to happen. If you’re asking me to choose between the two now, in a cold calculated way, you are basically presenting a version of the old “trolley” moral dilemma. 1. Would you choose to save the life of one person or one thousand people, if you could only save one option, otherwise everyone died? 2. 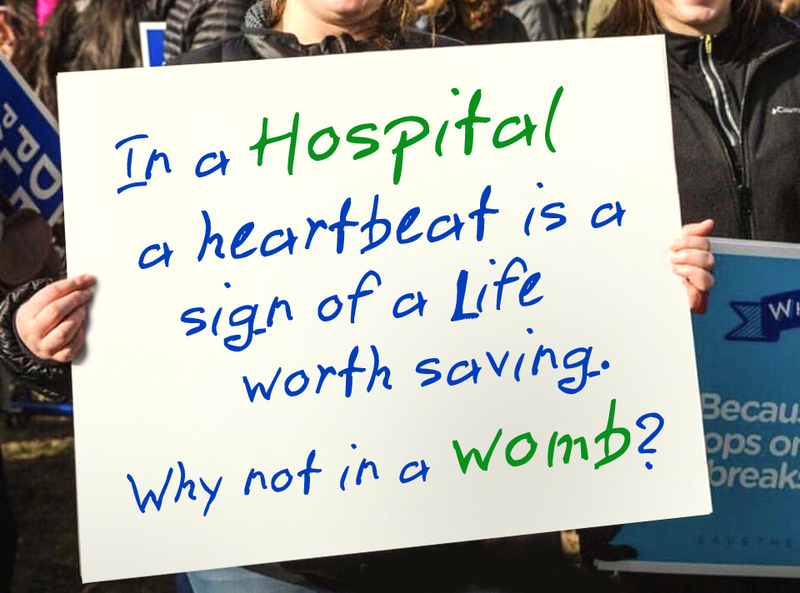 Would you choose to save the life of a 5 year old child or one thousand embryos in the same circumstances? My wife and I are dealing at the moment with infertility. If for example, there was a random 5 year old child and only say, two embryos on the table, but they were my wife and my children, then my moral instinct would probably be to save the embryos. When you are given an ultimatum and you only can save one of two choices. 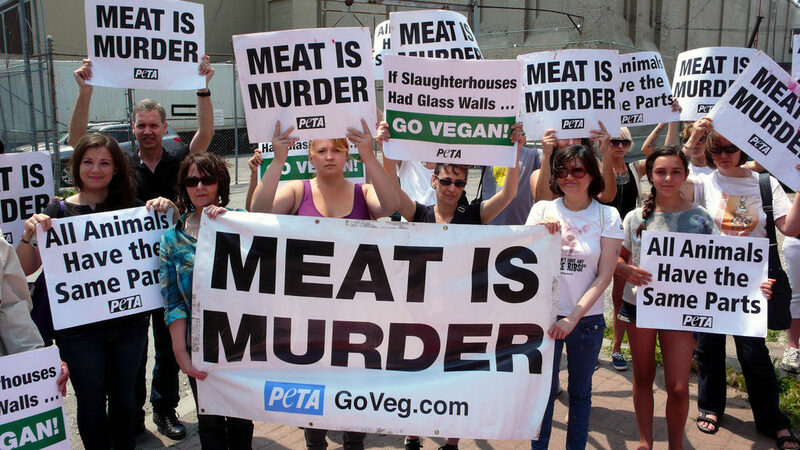 Just because you choose one over the other does not in any way prove that the other is not a human. For example, if my 3 year old daughter was in one room and 1,000 adults were in another, you can be sure I’ll probably be saving my daughter. That doesn’t mean the 1,000 men are not human to me. That’s why I think Tomlinson’s thought experiment is clever, but it doesn’t prove what he claims it proves. Thank you for proving to me that my original premise was correct. Anti-abortion and pro-lifers beliefs are entirely rooted in either misinformation or hatred of women. You don’t seem like you hate women. But you are very misinformed and have a skewed view of what constitutes as a human being. Great topic. So how do you constitute a human being? The normal way. With science and logic. A living breathing fully formed human being. I do actually think there’s a point of pregnancy where a fetus is fully formed, and in that case abortion, if it causes pain to the fetus, should only happen in cases where the mother’s life is in danger, or if the baby isn’t going to make it to full term anyway. But this whole argument about ‘late stage abortion’ is utter crap because it literally doesn’t happen other than when the woman’s life is at risk, or the baby isn’t going to make it to full term. What would you do if your wife found out that if she didn’t get an abortion, she would die giving birth? Sorry, I want to understand you clearly. I agree science and logic is very important. You said “a living breathing fully formed human being”. Does that mean that it needs to be breathing? 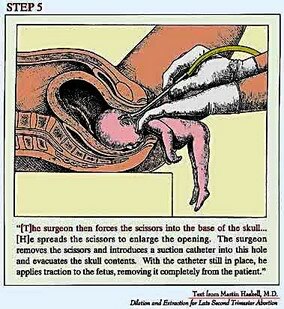 If you could c-section the fetus prematurely, and it could live outside of the womb on its own or with a bit of medical assistance. Well, that’s lots of different things to constitute a human being. Can we list them so I am clear on your position? Do you consider a child in the womb to be breathing at any point? I define “fully formed” as able to live outside the womb on its own. But again, that’s just me. I don’t think that should be part of legislation. Ok, so in your definition fully formed means fully formed to a specific goal (ie, to be able to survive out of the womb). Simple as that, not that complicated. Because you know, the skull isn’t fully formed when they are born. Human brains aren’t fully formed til they are in their 20’s. You know pro-lifers brains never fully form. C’mon. Was asking for it. Happy to end the conversation if that’s the road you wish to engage on. You can’t say that wasn’t a good one. Fine. I have a thick enough skin. I just am not interested in patronising each other. So instead of patronising me, you can just admit that my definition of ‘fully formed’ is fine. And that all you’re doing is trying to poke holes where there are none. I think your definition of “fully formed” is only defined around one purpose. There are lots about a newborn that is not fully formed. Instead of countering my argument, you are countering language. Otherwise I’m not interested in continuing this discussion either. I feel sorry for your daughter. I hope you never have another daughter, I truly truly hope you never have another daughter. and I hope your daughter now finds someone to guide her, properly, when she’s old enough to understand these things. My position is that all humans are equal and equally deserving of a right to life. I think the quality that makes all humans equal can not be a sliding scale such as viability outside of the womb. Consider this, if one child is removed from the womb and is healthy and so is able to survive, you would define them as human. But if another child is removed at the same age, but is too sick to survive or has some abnormality that means it can’t survive, by your definition that child is not human. You are defining humanity by one’s ability (to survive). I’m sure you don’t do that with humans at any other age. I am sorry you believed you were being patronised during our discussion and felt you had to end it. I definitely wasn’t patronising you and if you feel I wasn’t addressing your actual argument then I’d be happy if you wanted me to try. I also understand if you aren’t interested in that. Facebook conversations, even when not done publicly, are ripe for misunderstandings and offence unless both sides approach it with a lot of generosity of spirit. 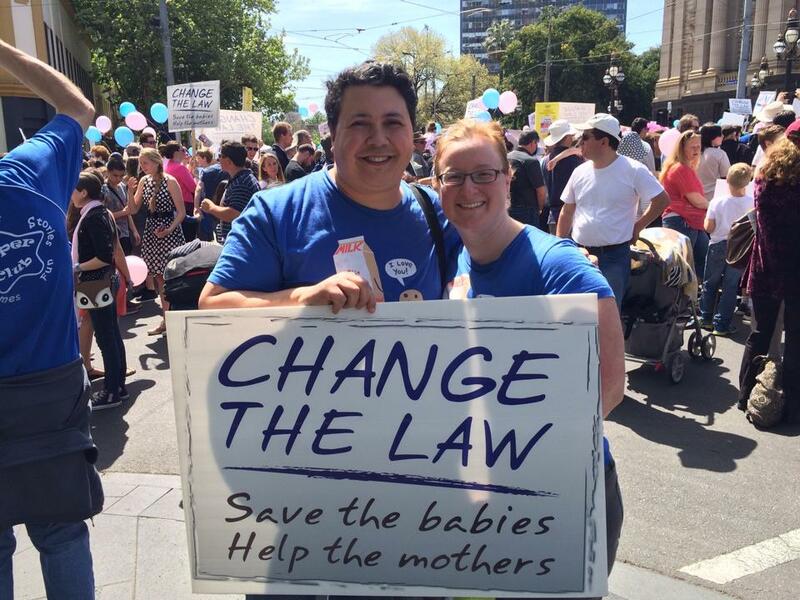 I must give acknowledgement to Josh Brahm, a brilliant pro-life apologist and educator from the Equal Rights Institute in the US. I listened to THIS TALK a day or so before having this conversation and it definitely helped me engage in a more thoughtful and level-headed way. And the beating heart within their chest. They have not come because they had a choice. Where else on earth are they supposed to flee? They have no power, no freedom, no voice. They come to us like an innocent refugee. A welcome home? A door open or closed? When our shared humanity is then exposed? But how can we turn our backs to their strife? We can’t close our eyes once they are sighted. 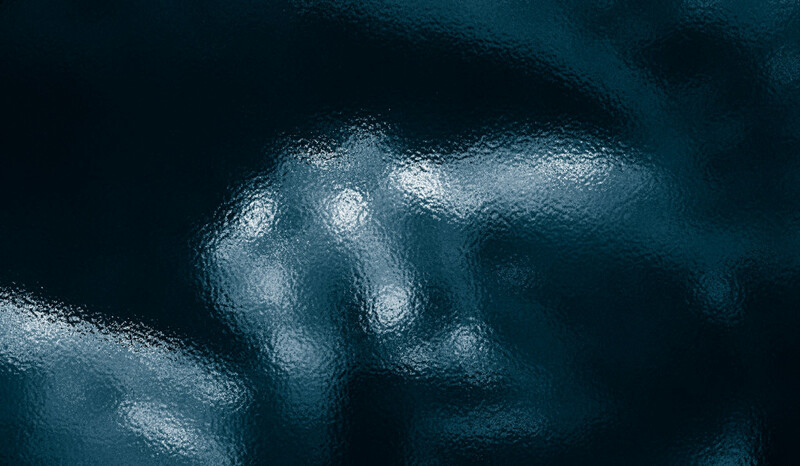 Condemning them unto a watery tomb? For those tiny refugees in the womb?